-Yards on the Ground. We have 3 RBs on the roster that could have been preseason stars for us in former years. Even though the Chargers are solid vs the run, I want to se Around 150 yds by the time the game is over. -Tarvaris Jackson looking like a Solid Backup. Nothing spectacular, just the ability to deliver the football in an offense he should know well. Nothing fancy and no turnovers is what we want to see from him, anything more is a bonus. -A Wideout stepping up. Who's going to take that #4 Spot for us? 4-6 is pretty wide open if Chris Harper doesn't come out and impress these next 4 weeks. Could someone else emerge? -A young Dlineman shoring up the middle. 3 Young players will have duties at interior Dline this season. One of Jaye Howard, Jessie WIlliams and Jordan Hill should come up big for us this season....literally. But who? Should be a good game To watch. Robert Turbin will not be playing thursday. Big opportunities for Christine Michael and Spencer Ware to steal the show. So pumped this game is on NFL Network here in NY!! Going to be great to see our guys back out on the field again. Im excited to see all the new signees and rookies. 1) Christine Michael- We used our 2nd Round pick on him for a reason. With Turbin out for this game Christine will be getting most of the work at RB and he will get his chance to show us what he has got. I was pumped when we drafted him to I cant wait to see him. 2) Bruce Irvin- Very excited to see what he can do in his 1st game at OLB. I want to see what kind of schemes we come up with when he is at the LB position. 3) Offensive Line- This Unit improved last year but we still need to keep getting better. I want to see how much JR Sweezy has improved from last year. 4) Our Wide Receivers/ Tight Ends- I am very pumped about the group we have at WR/TE this year. We wont have Percy Harvin for a bit but I feel we have enough to hold the fort down. I expect to see Big seasons out of Golden Tate and Doug Baldwin. 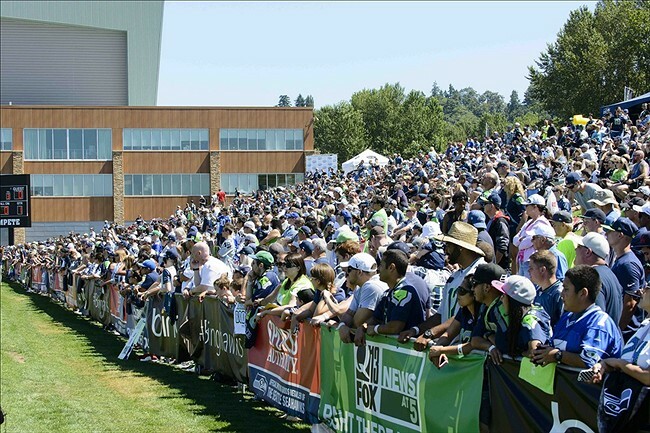 I am also excited to see the new guys like Stephen Williams and Luke Willson and also Jermaine Kearse who I have heard nothing but good things about this Training Camp. 5) The New Hair Does- Bruce Irvin and Earl Thomas both cut the dreads off this offseason so I cant wait to see them. Just found out NFL Net isn't showing the game until 11pm tomorrow for some reason. Just bought the NFL.com preseason pass so I don't have to miss the first hour. Seahawks OLB Bruce Irvin will miss Friday's preseason opener with a groin injury. It's notable because the suspended Irvin is trying to learn strong-side linebacker, and Friday is one of just four opportunities he'll have to take the field before Week 5. "We are frustrated by that. 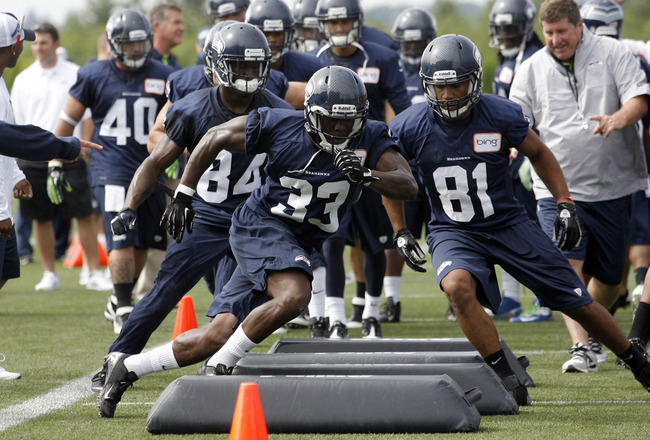 These games are really important to him," coach Pete Carroll said. "He’s one of the (guys) that has a chance to really show something in this little bit of a transition to playing SAM backer for us." Carroll went on to say Irvin is "really close." It's not a long-term concern. Dammit. No Turbin, Irvin, Doucet or maybe even Carp for friday's games. All players I wanted to see. WHy does everyone keep saying Friday? I thought the game was tomorrow?? It is tomorrow. Is NFLN saying friday? Cuz that could be a replay date for them.